Last week I landed back in Italy after nearly a month spent traveling in America for work and to visit my family in Nebraska. (Helloooo early Thanksgiving gatherings!) It was a whirlwind trip with stops in New Orleans and New York City before heading to Nebraska. I found there’s still a wee bit of jazz on Bourbon Street if you know where to go and spent an incredible day wandering through Central Park surrounded by autumnal splendor. 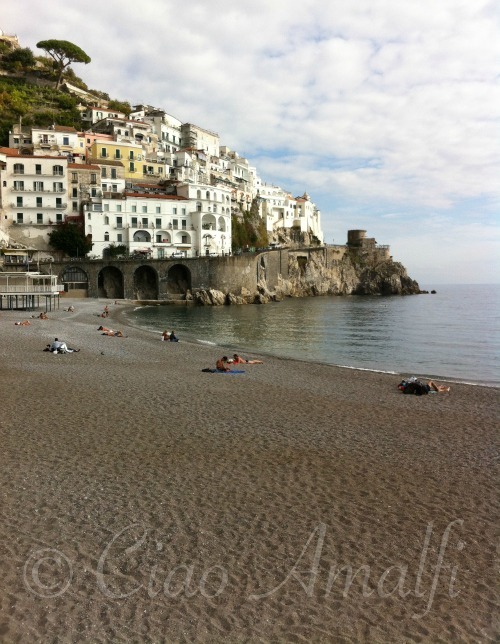 But there’s nothing quite like arriving back home on the Amalfi Coast. My husband had been regaling me with tales about how beautiful the weather had been all of November. Sunshine, unseasonably warm temperatures and crisp colors. 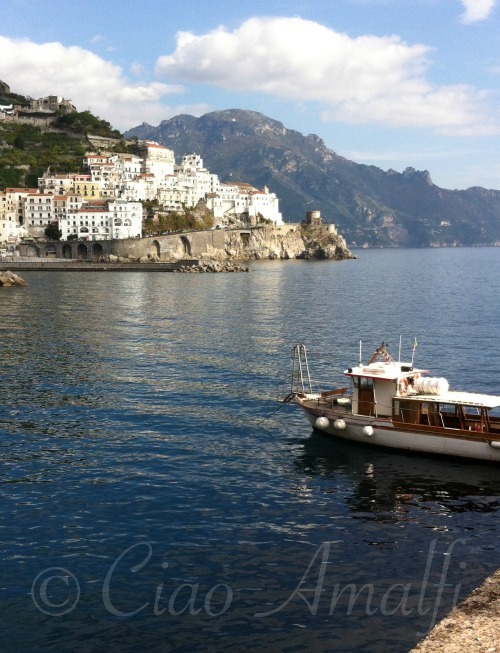 So when we saw that the weather was going to change at the end of last week, we took the chance – jet lag and a head cold and all – to enjoy lunch out by the water in Amalfi. 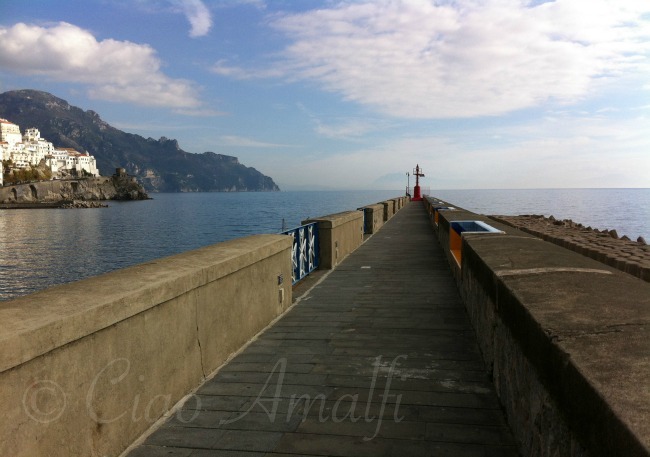 And of course my favorite winter pastime – a stroll long the long pier that juts out into the port of Amalfi. From there you have an incredible view back to Amalfi and the surrounding mountain valley. What I love best about this walk in the winter? Non c’è nessuno. There is no one. Sure you’ll pass a few locals out for a healthy walk, but that’s about it. 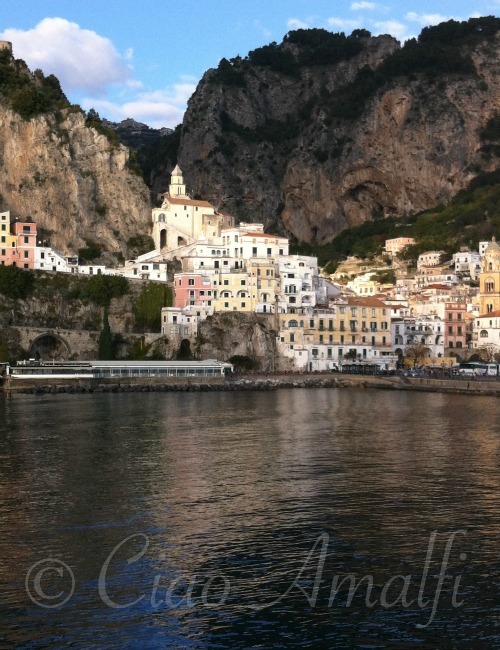 But it’s basically just you, the water on both sides and Amalfi as the backdrop. Perfection. After lunch the clouds started to arrive, which was the first sign of the change of weather to come. But there were still a few people scattered across the beach. The temperatures have dropped and it has been windy and rainy since Friday. Forget about making hay, you have to go to the beach when the sun shines. 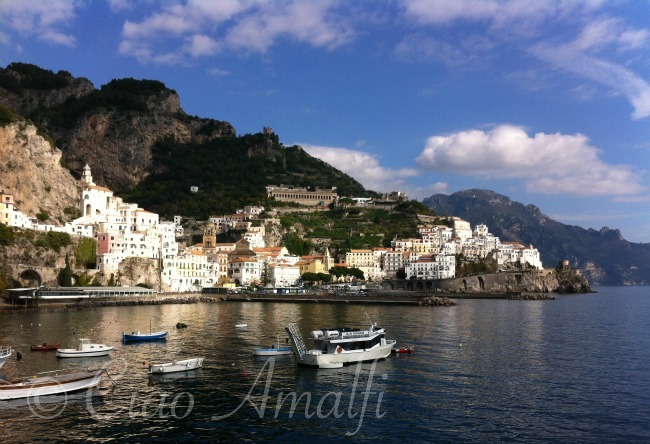 With the Festival of Sant’ Andrea next week, soon Amalfi will take on a festive holiday atmosphere. It felt like I arrived back home just in time to catch the last glimpse of summer before it slips away into winter.